The recent phony budget deal that Gov. Jerry Brown signed into law anticipated $4 billion in extra revenues from a booming economy. stripping out food and energy, core CPI rose 0.3 percent after a similar gain in May and above economists’ expectations for a 0.2 percent increase. “We are getting a very, very sharp rebound in core inflation and much more than the Fed had bargained for. We will be at price stability and possibly through it before the end of this year,” said Eric Green, chief economist at TD Securities in New York. Inflation will be even worse when oil and gas prices start increasing again, as they will, after the brief respite we’ve lately enjoyed. * Gold price up. The price of gold, which for several months settled in at around $1,500 an ounce, resumed its sharp rise of the last decade and now is approaching $1,600. That’s a clear sign of future inflation. A gauge of manufacturing in New York State showed the sector unexpectedly contracted for the second month in a row as new orders worsened, the New York Federal Reserve said in a report on Friday. The pace of decline did moderate somewhat in July from the month before, with the New York Fed’s “Empire State” general business conditions index rising to minus 3.76 from minus 7.79 in June. However, it was still weaker than expected, since economists polled by Reuters had expected a reading of 4.50. The survey of manufacturing plants in the state is one of the earliest monthly guideposts to U.S. factory conditions. In June the regional index had tumbled sharply, contracting for the first time since November 2010, but the larger national report for the month showed a modest uptick in the pace of growth. New orders fell to minus 5.45 from minus 3.61, while shipments improved to positive 2.22 from minus 8.02. U.S. consumer sentiment deteriorated in early July to the lowest level since March 2009 on increasing pessimism over falling income and rising unemployment, a survey released Friday showed. The halcyon days are over. Government payrolls, as is happening from California to New York to Washington, D.C., will have to be slashed. Pension and health care benefits, not only for seniors, will have to be reduced. Retirement ages will have to be raised. From food stamps to foreign aid, programs are going to be capped and cut. The left believes it can get the money from the wealthy. But the top 1 percent of Americans in income already carry 40 percent of the federal income tax load, while the bottom 50 percent of wage-earners ride free. This, too, will have to end. We are either going to man up and radically reduce government at all levels in the United States, or the bond markets are going to do it for us, as they are doing it today for Greece, Ireland and Portugal. AB 32 was passed at the peak of the housing bubble, during which it seemed double-digit increases in housing prices – with the state skimming off its portion in taxes – would go on forever. In California, many thought, everything was “fantastic,” and “anything is possible.” It was a Disneyland of the mind. We could afford anything, including turning the state into a green-friendly economic showcase. Unemployment statewide in 2006 was just 4.9 percent. Since then the housing bubble has burst, with California among the states hit the hardest. The state, along with the rest of America, is suffering through the worst economic slump since the Great Depression. 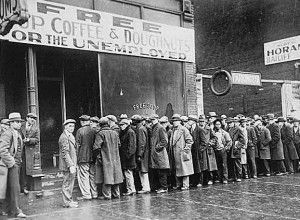 Unemployment has more than doubled to 12.5 percent in October – the worst since 12.6 percent in 1940, at the tail end of the Great Depression. If one includes those working part-time but wanting to work full-time and those who have stopped looking for work, the “underemployment” number is a staggering 22.5 percent. Then-Gov. Arnold Schwarzenegger and AB 32 supporters in the Legislature and media guaranteed us that AB 32 would create so many “green jobs” that the economy would boom. Well, here we are in 2011 and the economy is stuck in a hideous recession, worse in California than elsewhere. As the naysayers predicted, AB 32 made California’s business climate worse, not better. I long have pointed out that both Brown and Schwarzenegger’s failed to prepare us for the return of the economic deluge, which now is upon us. Their hard-core, fanatical environmentalist extremist and tax-increase ideologies blinded them to reality. Now most of us will be paying the price in lost income, lost jobs, broken families, damaged children, broken lives.